Society of Certified Senior Advisors: What Happened to Mom? Warning signs that your aging parents may need more help to stay home. Time and obligations have a way of interfering with the best laid plans of family members. 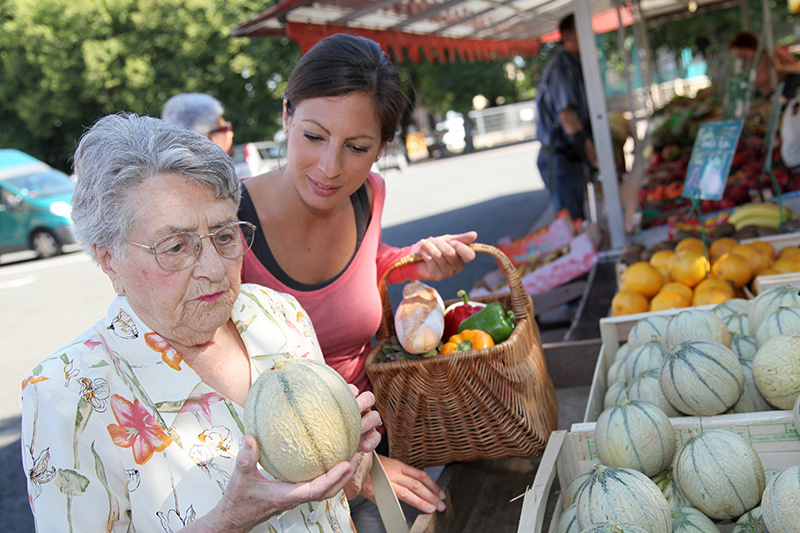 Trips to visit an aging parent or relative become more and more infrequent. Many of our parents or grandparents have relocated to states that offer climates more conducive to shoveling sand versus snow. Or adult children have moved to distant states for better jobs or opportunities. Many of us have limited our travel planning for various reasons, including the difficulty of taking time off from work. Our daily responsibilities often take precedent to seeing aging relatives, and another year’s plans to visit slip away. Finally, a visit is possible, and the door to their home is opened by a very frail parent. “What happened to Mom?” is a question I hear quite frequently these days. “I knew my mother needed a little help around the house, and we did hire an agency to come once in a while to assist with the housekeeping. But I had no idea she had changed so much,” I recently heard a daughter lament. How do I know about these instances? I operate a senior service designed to offer resources and assistance to families. Many of my clients live hundreds or even thousands of miles away from their parents. An elderly person may sound great on the phone while hiding health issues. Your loved ones don’t want you to worry about them. They might also be nervous that you will suggest they move into a retirement home. The majority of senior clients I work with want to remain in their own residences. Or they may be unaware that they need help. Over time, older adults can gradually lose some of their functioning. Their hearing gets worse, they’re more tired, they can’t remember how to turn on the shower or the stove. Slowly, they withdraw from some of life’s daily chores. When you visit an aging parent, use your senses to evaluate whether your mom or dad needs additional care. Watch. Do they dress appropriately for the weather or the season? Does your dad have on a soiled shirt? Is his appearance disheveled? Is he well-groomed? Do his teeth appear clean? Does your mom continue to wear make-up? Is the car dented and dinged? Is the house clean and free of clutter? Is mail all over the counters and tables? Listen. Can they carry on a general conversation and understand what you are saying? Are they speaking too loudly? Is the television blasting in the background? Do they call you by your name? Do they engage in phone conversations with telemarketers? Smell. Does the home have an unpleasant odor? Is there outdated or spoiled food in the refrigerator? Is the garbage can overflowing? Is the heat or air-conditioning completely off? Do you smell a litter box or other pet odors? Touch. Do they look healthy? Do they feel cold to the touch? Is their skin supple and normal in color? Are there any bruises or skin tears? Have they lost weight? Have they gained excessive weight? Has their eyesight failed? Observe. Are there many medications and pills around? Are there different doctors’ names on pill cases? Has their personality changed? Do you see a big supply of liquor? Are bills marked “past due” or unopened? Is there an abundance of letters from charities or contests, indicating they have been too susceptible to every appeal that comes their way? Be proactive. If you sense a problem, take action immediately. Discuss the issues you find with your loved ones. Set up doctor appointments and determine what services are needed. Once you have noticed concerning changes in a loved one that may be putting them at risk physically or financially, please think about respectful and practical solutions to help them. Many elder citizens want to live life in their own way and resist changing residence. They would prefer to bring the help they need into their homes rather than move. Put yourself in their place. Would you want to leave your own home to stay with your kids? Or would you prefer to make renovations to your place to accommodate your changing health and safety issues? Do you enjoy your neighbors and your neighborhood? Is your garden your pride and joy? Do you have a beloved pet that would not be welcomed into assisted living? Bringing care into the home extends the time your parent can stay in the comfort of their own residence with their memories and their precious belongings around them. Your parents deserve to live their lives to the fullest. Helping them stay in their own home can often provide a less expensive alternative to special-assistance housing. Sometimes, a caregiver simply needs to come by for a few hours a day. Of course, these solutions for enhancing at-home care are intended to address the natural stages of aging, not dementia. If you suspect that your parent’s behavior points to the cognitive decline associated with dementia then trust your gut. Before you embark on improving their lifestyle at home, where they could be at risk, get your parent to an appropriate doctor for cognitive testing and diagnosis. My senior clients have commented about how much life has improved for them because of the addition of a ramp or bath designed for handicapped use (please make sure proper training is included). Renovating a home for special needs can also prove a wonderful alternative to geriatric housing facilities. We “baby proof” homes for safety, but rarely “senior proof” them on the opposite end of life. Installing “nanny cams” and proper security when a senior is at risk due to cognitive issues is a smart idea. I have one client who installed this sort of security for her father, along with a phone app, so she can routinely check to make sure he is OK. It also makes sense to have someone assist with cleaning and cooking to help ensure your parents eat properly in a hygienic home. One of my clients found a retired nurse to move in with her parents. Lucky her! Caregivers can also drive your parents to the doctor, out to lunch or to visit an old friend. Many of my clients have stayed in their homes until the very end because they took advantage of care and services from family members, caregivers and hospice. If you are not able to be your loved one’s primary caregiver, take the proper precautions so that you have peace of mind. For example, make sure the caregiver and any other important people know to call you if needed. Clearly display a list of emergency contacts such as your parents’ or relatives’ financial planners, lawyers and doctors. List the medications they take and their pharmacy’s phone number. When you visit your loved one, get the name and number of one of their close friends or neighbors so that you can check with them if needed. Finally, stop beating yourself up and schedule time for at least one phone call every week. Mom and Dad already know you have other responsibilities. In the meantime, let’s hear it for this wonderful, stubborn generation of “Golden Agers” who still watch Jeopardy, play cards with friends, sign up for dance lessons and believe that 90 is the new 80! Hannah Draeger Ross, CSA, is the owner of Elderlinx Senior Services. She has been a geriatric homecare professional for over 15 years and resides in Myrtle Beach, South Carolina.